The 2019 Mazda 3 Sport was redesigned with a deep understanding of human behaviour and motion to make driving as intuitive as possible. With evolved Skyactiv-Vehicle Architecture, the all-new Mazda 3 Sport responds to your every intention for an effortless drive. Its refined cabin is the quietest yet, reducing unnecessary noise and vibration to instill a feeling of tranquility behind the wheel. If you are looking for a 2019 Mazda 3 Sport, we encourage you to schedule a test drive at our Pfaff Mazda dealership today! Let’s take a look at some features. The 2019 Mazda 3 Sport is engineered to provide a calm, quiet environment. Its cabin is the quietest ever, insulating you from distracting and tiresome outside noise while still allowing for subtle road and engine sounds. It’s about shielding you from the unnecessary, so you can enjoy the purest aspects of driving. Every 2019 Mazda 3 Sport begins with one idea: you. It’s Mazda’s declaration that you experience effortless driving in every turn and every straightaway. How you feel is our rule of measurement. We believe driving isn’t just about a destination. It should inspire you and exhilarate you. The 2019 Mazda 3 Sport benefits from the latest version of our i-Activ all-wheel-drive technology. Its inventive engineering helps forecast the possible loss of traction by actively monitoring everything, from outside temperature and windshield wiper usage, to the driver’s steering and braking patterns. The output is a responsive and confident drive, no matter the conditions. 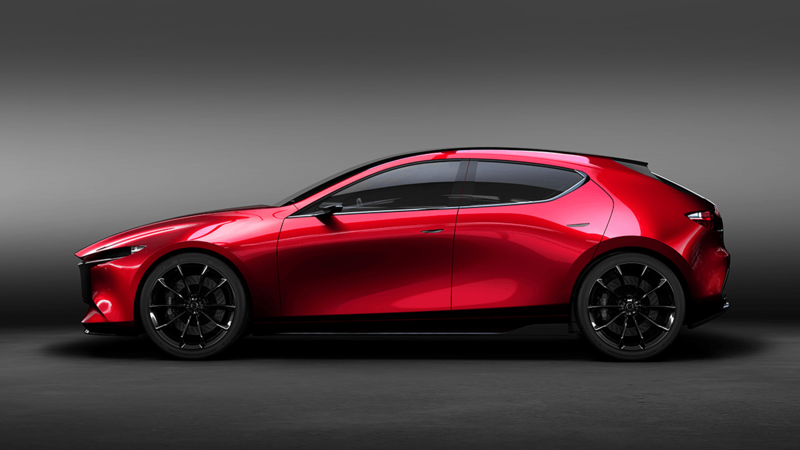 When reimagining the Mazda 3 Sport, Mazda engineers sought to defy the perception of all-wheel drive as inefficient. This version of i-Activ AWD saves fuel by distributing power only at the exact moment you need it. London residents can test drive a 2019 Mazda 3 Sport at our Pfaff Mazda dealership. If you are looking for more information about this premium quality Mazda vehicle, we encourage you to continue browsing through our website. Click here to find our contact information or to fill out our contact form.